In times when marriages are nothing to write home about and love seem to be hard to find... here is an 86 Years of Marriage. 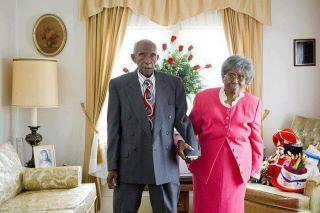 The man is 104 and his wife is 101 years old! Real love still exist!!! It is wonderful! l envy them, and l pray to have such, when l am married. This is wonderful, i pray that God should give me such true love. l pray for such as well.